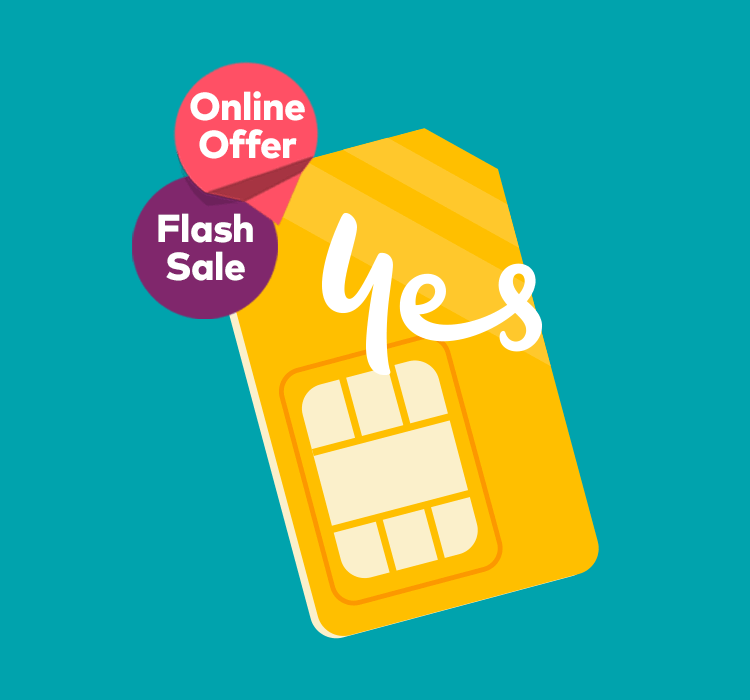 Get 10% off monthly plan fees on our $45 12-month SIM Only plan. 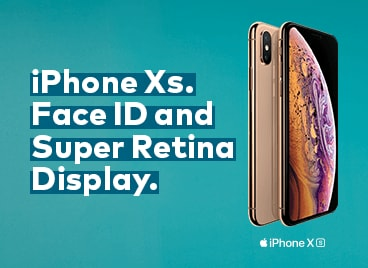 Offer ends 31/03/19 unless withdrawn earlier. Minimum total cost $486 over 12 months. 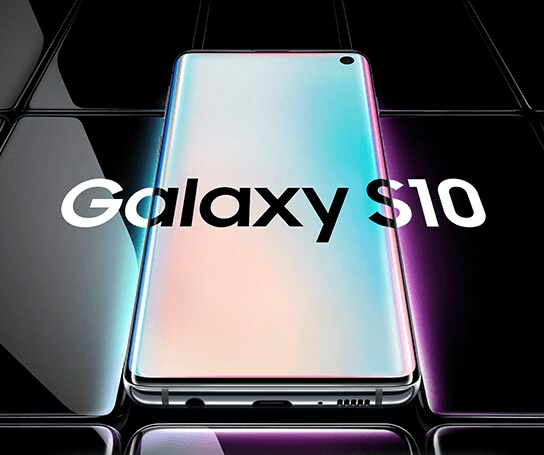 Lease the new Galaxy S10 on our best network ever from just $69/mth. 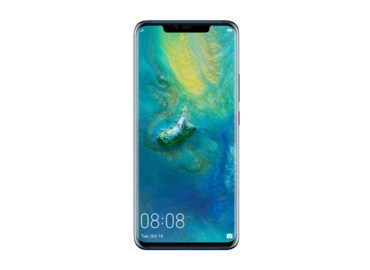 Galaxy S10 128GB. Min. cost $1,656 over 24 months. Damage and cancellation fees may apply. New & recontracting services only. Not available with other offers. Offer available until withdrawn. 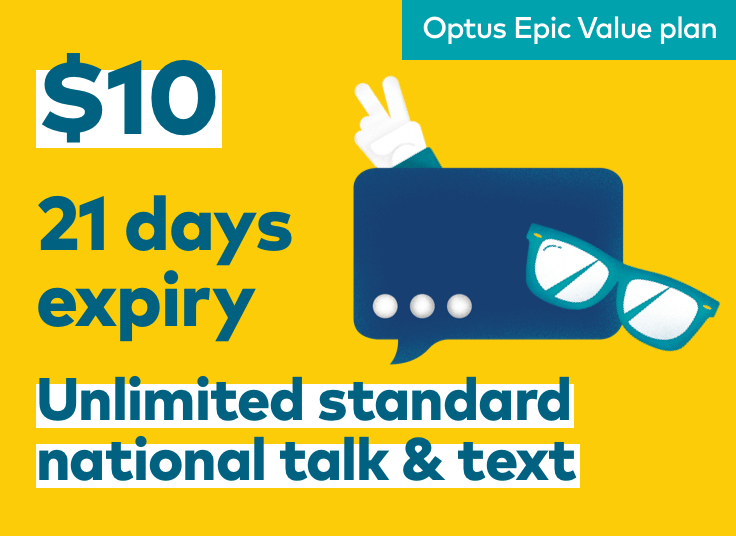 Cruise around with 3GB of data for $25/mth on our 12 month SIM Only plan. New & recontracting services only. Not available with other offers. Welcome to the big data era. 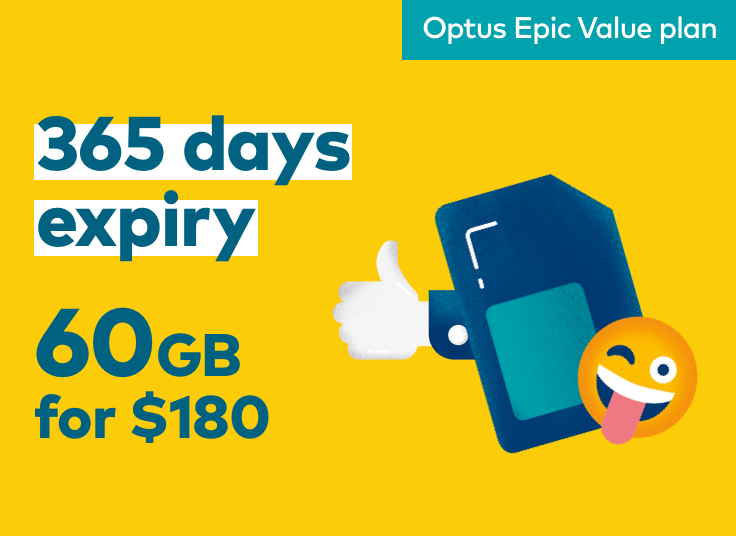 Get a huge 30GB for $35/mth on our 12 month SIM Only plan. 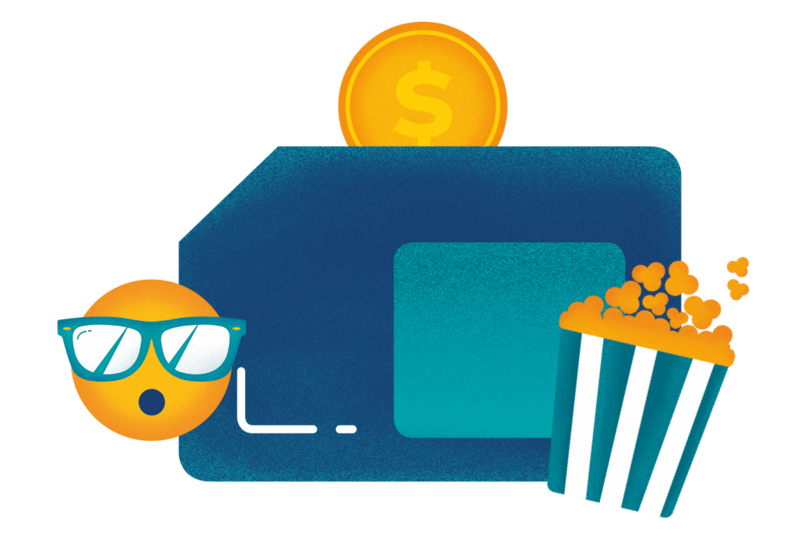 Get a huge 80GB for just $49.50. 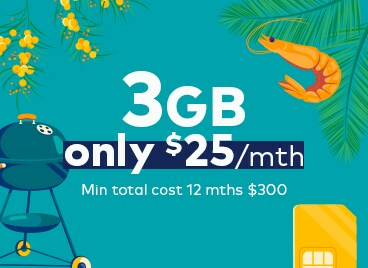 Offer ends 31/03/19 unless withdrawn earlier. Subject to line speed capability on FTTB/FTTC/FTTN post connection and not available on nbn? Fixed Wireless. See here for more information about nbn? speed. Minimum cost is $2,280 over 24 months. 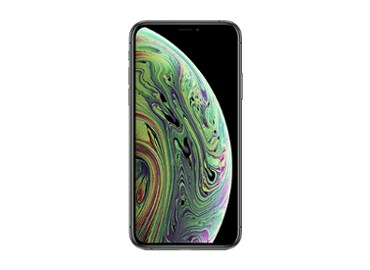 iPhone XS 64GB. Damage and cancellation fees may apply. 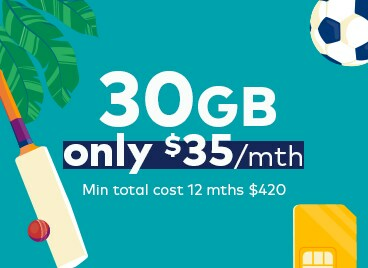 Get an iPad 32GB with 10GB data for just $30/mth. 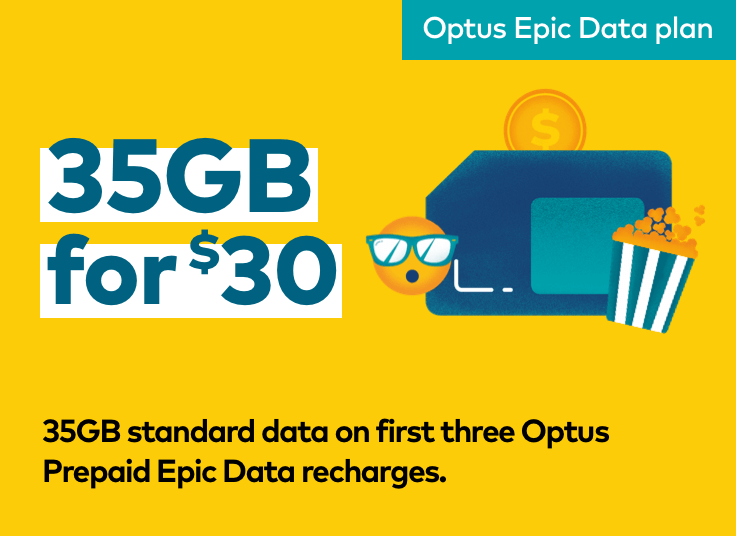 Plus, share data across your devices on eligible Optus plans on the same billing account. Min. total cost $720. Cost of 1MB $0.0024. 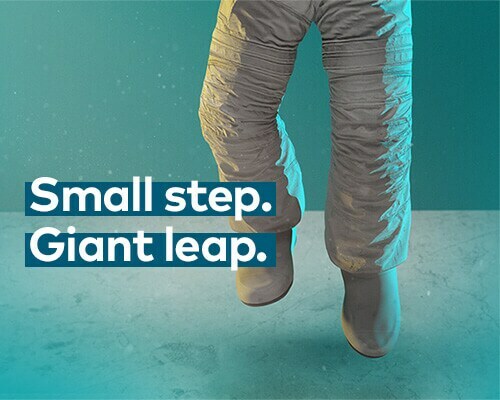 First recharge by 3/6/19. 2nd and 3rd recharge on or before 5/8/19. 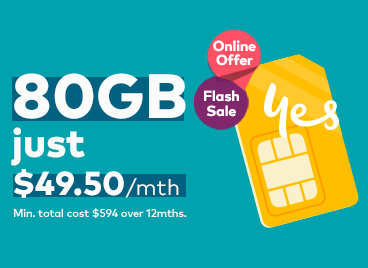 Get 100GB data for $60/mth on our Data SIM and connect your tablet, laptop or modem. Cost of 1MB included data $0.0006.